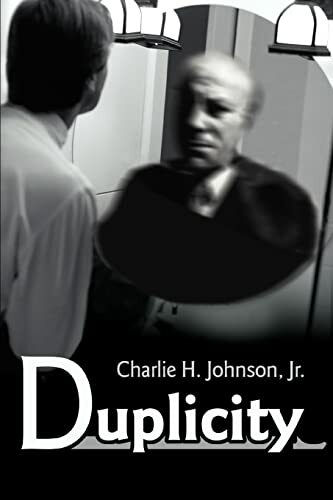 by Charlie H. Johnson, Jr.
Duplicity by Charlie H. Johnson, Jr. is a thoroughly engrossing novel about a psychic detective who tangles with the wrong spirits. Part mystery, part occult thriller, and part psychological memoir, it is all award winning writing. This novel will keep you up reading late into the night…with the lights on! Duplicity is set New York City during the 1990s. Carlos is a down and out psychic detective living one step away from the bill collectors. A child of the 60s, Carlos has an independent spirit, an acceptance of the unusual, and has done his share of experimentation with hallucinogen substances. His choice of career as a psychic detective gives him the freedom to carry his 60s lifestyle well into the 90s. The plot begins when Carlos reads a message written on the wall, "Judge Crater: please call your office". Inspired by the message, Carlos decides to find out what happened to Crater. (Judge Joseph Crater was a real historic figure. He did vanish from New York, August 1930.) Investigations into Crater's background suggests that he had underworld connects and that while he had vanished, he may not have departed life or New York City. After researching the historical case, Carlos contacts his psychic friends to find out what additional information they could provide. Joe Davidson, an ESP expert turned stock market pro, had little to add. Maria Polska (aka "Janice Johnson from Omaha") a street psychic who tells fortunes for five dollars a pop warned him against the investigation. However, it was Borys, the aged paranoid Russian medium, who provided the most information. A physical medium, Borys makes contact with Crater. Crater is none too please at being disturbed. He warns Carlos that further investigation would cost him dearly. Thus in earnest begins the story. Carlos does dig deeper. He becomes obsessed, dare I say possessed, with Crater. As the person and world of Crater takes shape, Carlos and his world falls apart. The novel moves at a reckless pace, careening like a roller coaster, to its startling climax. Duplicity is a book that explores the dangerous worlds of the alcoholism, addiction, and the occult. Carlos is someone who is far from physically or mental healthy. He lives his life on the edge of poverty. His lifestyle is riddled with addictions. His hold on reality seems held together by duct tape. He is a perfect candidate for abuse by a dominant personality. He even has difficulty dealing with the casher at the corner convenience store. The presence of a malicious spirit and copious liquid spirits only exacerbates Carlos' self-destructive tendencies. It is only a matter of time before Carlos finds himself sliding down that slippery steep slope to complete disintegration. While his psychic friends – Joe, Marie, and Borys – appear none too stable, they at least have developed strong defenses for venturing into the world of the occult. Carlos, while the novel hints at a long history with a love-hate relationship with the psychic realm, seems to have built up no such walls. It is a wonder that he has lasted as long as he did as a psychic detective. This book has award potential. The writing is stellar. Carlos is accurately depicted as a man of a fast track to hell. This is especially true in the descriptions of his disintegration through the subtle but steady increase in his growing paranoia. Many of the secondary characters add wonderful comic relief. While as a character Carlos' time seems destined to be short, if Johnson continues this series, which I encourage him to do, I will be the first in line to buy any further adventures of Carlos, the self-destructive psychic detective! Duplicity by Charlie H. Johnson, Jr. is more than a psychic detective novel. It is a tale of a man's self destruction. It is engrossing and riveting. I could not put down. It has award potential written all over and all throughout it. I highly recommend it.